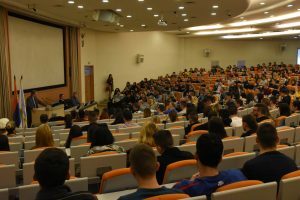 On the initiative of University’s rector, prof. Miodrag Jevtic, PhD, on Tuesday, 12th February, in the greatest amphitheater of the University’s building in Boulevard Marsala Tolbuhina in New Belgrade, the Gathering of students of all our faculties was held, dedicated to the improvement of communication inside of Megatrend’s academic family. 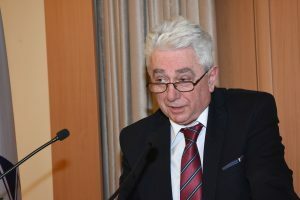 While opening the gathering, prof. Jevtic has reminded the guests of the previous results in educational and scientific work and has sketched the most important goals of all future labor. 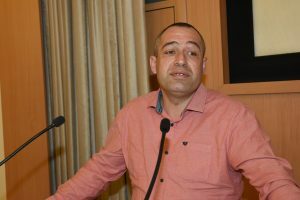 According to his words, further raising the quality of the schooling and care for inclusion of graduated students into the world of work will be in the center of the all of employers’ activities. “The work market has recognized the validity of our diplomas and has highly valued the knowledge that Megatrend’s faculties leave you with. 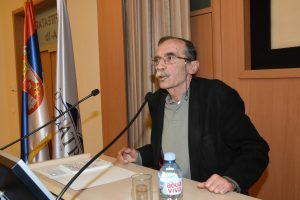 That is also confirmed with the geographical distribution of the members of our ALUMNI Club, since our graduates are successfully performing even the most complex jobs in the economy, media, diplomacy, state administration, culture and other different fields, inside the country but also outside of it”, professor Jevtic said. 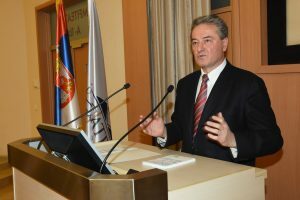 “We want for our students to be even more successful at applying their gained knowledge in practice, which is primarily in their own interest, but is also bringing the reputation of Megatrend University in academic and general public. With our joint energy we can make sure that Megatrend is once again the crown of our higher education as a whole”. 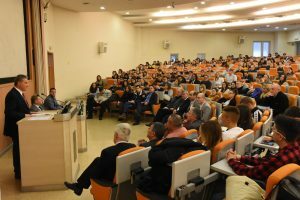 Afterwards, the word was given to the vice rector for teaching, prof. Dragan Djurdjevic, PhD, and to the deans, prof. Dragan Nikodijevic, PhD (Faculty of Culture and Media), prof. Dragana Trifunovic, PhD (Faculty of Business Studies), doc. 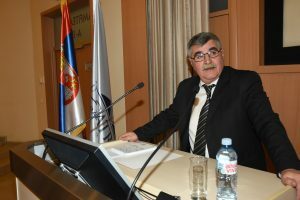 Andrija Blanusa, PhD (Faculty of Law), doc. 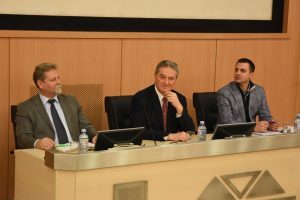 Goran Lalic, PhD (Faculty of Geo-economics), prof. Slobodan Gvozdenovic, PhD (Faculty of Civil Aviation), prof. Goran Puzic, PhD (Faculty of Business Studies in Vrsac) and prof. Dragan Mihajlovic, PhD (Faculty of Management in Zajecar). 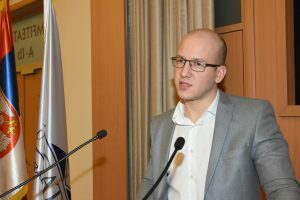 Student – vice rector, Nikola Knezevic, has pointed out on the potential of the cooperation with student population, and has invited his colleagues to more direct contact.